It was the dream of the Wisdom family to create a picturesque location near their home in Missouri to share in celebrations with those far and wide. 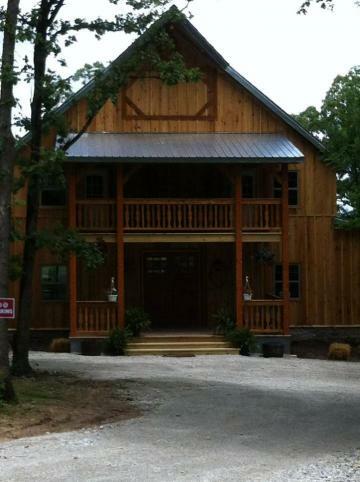 The small town of Preston, Missouri was a natural location for a barn venue. For centuries, barns have doubled as functional storage, houses for farm animals and equipment, but also a gathering place for celebrations starting with its own barn raising party and extending to local weddings, dances and harvest festivities. Working with local Amish craftsmen to construct a woodworking marvel rarely experienced today, the Wisdom family is proud to open this hand-crafted post and beam barn that will soon be home to many happy memories. With construction scheduled to be complete in spring 2013, the Wisdom family will host the grand opening on June 1, 2013. The inaugural celebration of this venue will be the joyous marriage of their very own daughter!